When I got into sketching, about four years ago, I found it pretty easy to find quality pens, pencils, brushes and watercolors. 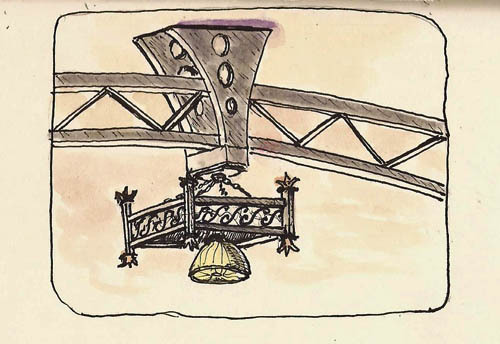 What was harder was to find a sketchbook that could accommodate pen, ink and watercolor. It seemed that I was buying a new sketchbook every week in an attempt to ‘try another’ in my quest for the perfect sketchbook. 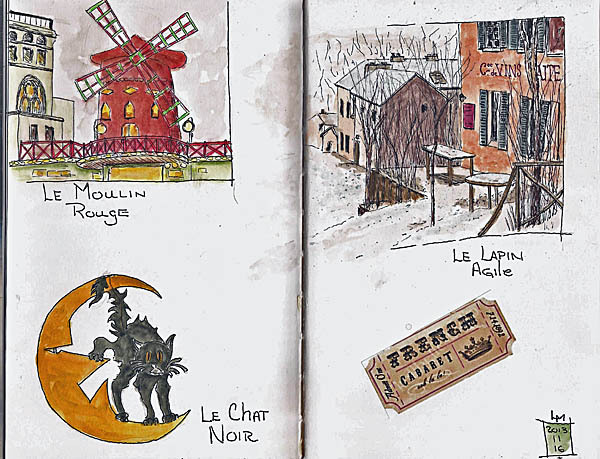 My first post about Stillman & Birn sketchbooks was in December of 2011. A few other artists had discovered them and were really excited by them. I’d just gotten one and was very new to sketching so it was hard for me to evaluate it except to say that I liked it. My first real discussion of S&B came in March of 2013, after I’d had some time to fall in love with their products. At that point I’d done a lot of sketching on their Alpha series paper and had just bought one of the Epsilon series sketchbooks. If you read that post you’ll get the impression that I worked as a sales rep for S&B but I do not. In the future my daughter is going to be faced with the task of taking my sketchbooks to the landfill. When she does, I suspect my pile of Stillman & Birn sketchbooks will be even larger. These are the ones I’ve filled in the past 3 years. Several others are ‘in progress’. Since then I’ve been filling S&B sketchbooks at an alarming rate. 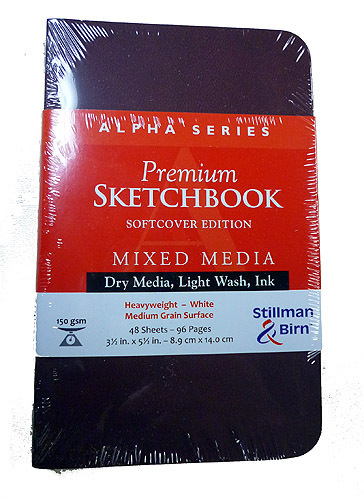 I’ve tried not only Alpha and Epsilon papers but also their Beta, Zeta and Gamma sketchbooks. 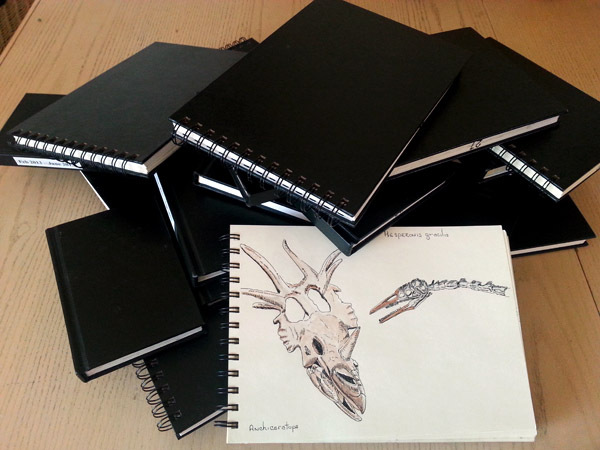 You can find reviews of these sketchbooks if you search for those words here. I have a lot of experience with Stillman & Birn products, and I can’t imagine using anything else. But there’s been one sketchbook format that S&B hadn’t provided me, until now. I’ve whined to them about it enough that you’d think they would have made some just to shut me up. It’s a small (3×5) portrait format book that has paper good enough (interpretation = Alpha paper) to accept my scribbles and watercolor smears. Because this has not been forthcoming from S&B, I’ve been making do with crappy books from the dollar store, Field Notes, small (?) Visual Journals, Moleskines, etc. At this point I’ve filled 27 of the darned things. You’d think I’d know how to draw by now with all that scribbling. Maybe in another 20 years. Anyways, Stillman & Birn has just released the solution to my small sketchbook needs, and then some. The photo above shows just a few of the many format/paper combinations available in this new series. All of the S&B’s paper types are available and each has its cover color-coded for that paper type (Alpha = burnt sienna (red? ), Beta = blue, Epsilon = gray, Delta = green, Gamma = brown, Zeta = black). They’re available as 3.5×5.5 and 5.5×8.5 portrait or landscape format and in 8×10 portrait format. 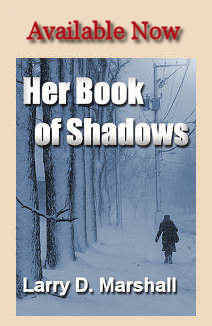 I like the cover material. It feels almost like leather, though it is obviously not. It’s stiffer than the Strathmore softcover books, a plus for a street sketcher like me. The papers are the same great papers you can find in their hardcover books so I’m not going to talk about them. You can find my opinions by searching for the reviews on this blog but so far I haven’t found any that I don’t like. I use Alpha and Beta almost exclusively though. The thickness of a 5×8 Alpha hardcover is 18mm while the Alpha softcover is a svelte 10mm. In short, these new books are much lighter and thinner than their hardcover counterparts. Here is my favorite. I’m showing it before I took the shrinkwrap off because now that I’ve opened it there is some drool on the front cover. It’s a small, Alpha-series portrait-format book. Many who use the Moleskine watercolor books have complained that Moleskine doesn’t produce it in a portrait format. I used to be one of them, but no more. I now have my small sketchbook need satiated, or at least it will be when I place an order for a bunch more of these little guys. 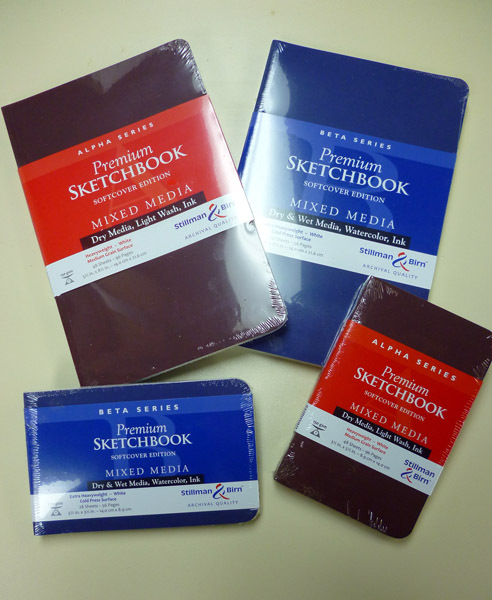 Do you need/want the softcover versions of Stillman & Birn sketchbooks? It depends. It depends upon whether weight matters to you. If you carry a single sketchbook and not very far, then giving up those nice hardcover bindings might not make sense. I carry several sketchbooks and regularly carry them during two-hour walks so cutting the weight nearly in half is a big deal for me. Are you ever bothered by the thickness of your sketchbook, say when you’re trying to draw along the edge where you have no support for your hand? Do you wish the book were thinner when trying to draw across the gutter during early or late sections of the book, where one page is bent downward to reach the table due to the thickness of the book? If these things bother you, maybe having a book that’s half as thick would make you happy. Beware, though, this comes at a cost. While the covers reduce the thickness, the softcovers are also made thinner by a reduction of page count (in Alpha the hardcovers have 62 sheets while the softcovers have 48). I find this a small price to pay to get what I want in the small-size book. There is one downside to these softcover books. They use the same double-stitched, glued bindings of their hardcover counterparts and the glue sometimes wicks between the signatures (the small groups of sheets that are folded and sewn together) and they tend to stick the base of the two pages between two signatures together. I don’t find this to be a problem with Alpha, and probably not with the other 150gsm paper books. Their pages fold open just fine. But with the Beta (270gsm) and probably Delta and Zeta books, the paper tends to separate slightly at the gutter when you fold open a section where two signatures come together (6 places in a Beta series book). This separation is very tight in the gutter of the two-page spread and if you’re working on either side of the gutter, it’s not a problem at all. But if you want to do a two-page spread, it can create an ugly gutter seam. I’m thrilled with these new softcovers. I’ve only drawn a couple things in them thus far but I know the papers well and have documented their use in pretty much all the drawings presented on this blog. The softcovers, like Stillman & Birn’s hardcover and spiral-bound books, are great options for the urban sketcher or nature journalist. I feel lucky to live in a time when we sketchers have so many great choices, and all from one company – Stillman & Birn. 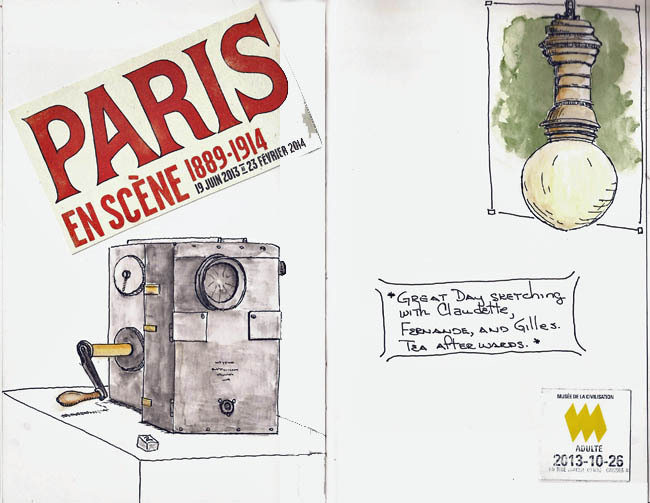 If you’ve been following this blog you know that I’m spending some of my winter sketching time at our museum and its Paris 1900 exhibit. This week I decided, without giving it sufficient thought, that I should sketch a huge black and white photo that’s projected on a wall. It must be 12-14 feet tall and shows an indoor shopping area that, I understand, still exists today. So I opened my Stillman & Birn 6×9 Zeta sketchbook, grabbed my TWSBI Mini, and started drawing. Somewhere in the early stages I realized that I’d either chosen too large a subject, a sketchbook that was too small, or the TWSBI nib wasn’t fine enough. Maybe the problem was a combination of all three of these things with a dash of my penchant for drawing everything. Leaving stuff out is hard for me. Whatever the reasons, the result was like the proverbial 10-pounds of potatoes in a 5-pound bag. But I persevered because the process itself was fun – it’s always fun. Lots of stuff to organize, proportion, and to draw. I’m not sure what the woman in the middle was doing or carrying but you can see that several men were looking at her. While the photo was a bit vague in its over-sized presentation, there was a large ‘something’ flowing out from her hands. Maybe it was a shawl, a scarf or maybe a smoke bomb (grin). It was impossible to say. But I thought a bit of color would help center their gaze, and maybe yours. I was at the Musée de la Civilisation with Yvan on Sunday. We were sketching. We had decided, at the last minute, to meet there and we had a great time. I suppose it’s somewhat redundant to say we were sketching and we having a good time as one thing means the other to me. Nevertheless, we were sketching and having fun. I decided to do something very different, at least for me, but first a bit of back story. 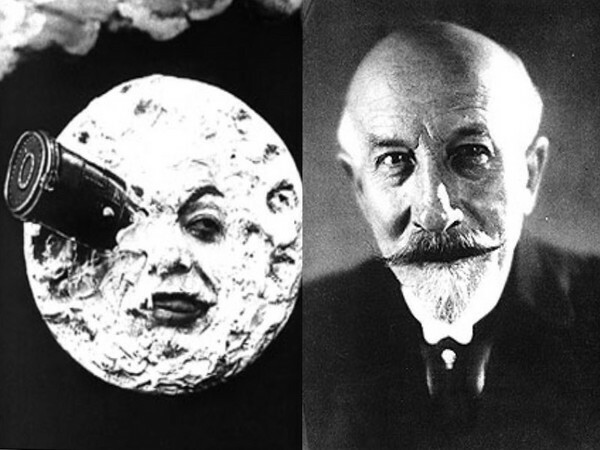 Albert Laliberté was a Québec sculptor who, like many Quebec artists at the time, headed to France to lead the Bohemian life and bask in the glow of the great French masters, and consume large quantities of wine. While he was there, Albert attended the École nationale supérieure des Beaux-Arts where he developed his skills. One of the things I love about his work is that he sculpting people working with their hands, so he has created bronzes of blacksmiths, cobblers, and even painters. What has this to do with Sunday sketching at the Musée de la Civilisation? Well, as it happens, the Paris on Stage exhibit has a room devoted to Québec artists who went to Paris and then returned to have significant art careers, like good old Albert Laliberté and several of his bronzes are on display in that room. From the “I’d like to draw that” point of view, however, the museum’s multiple light sources and always from above, make it difficult to sketch the details of the pieces as they are often in very dark shadow. I thought this might be an opportunity to try something different, for me, and so I launched myself into high contrast mode, concentrating on the shadows as the major source for shape and relegating outline to a more minor role than most of my sketches. As a first attempt, I was fairly satisfied with the result. I still have much to learn about drawing and I’m REALLY a rookie when it comes to this approach. But, here is Laliberté’s Paysagist (landscape artist). Apologies to Monsieur Laliberté. I’ve discovered something new to do – to practice my eye. Being driven into museums by our cold weather, I’ve been staring at a bunch of oil paintings. I tried sketching from them, trying to grasp the artist’s intent. I’m not good at it and maybe it’s not even desirable to do so. But I wondered what would happen if I didn’t try. Instead, what would happen if I tried to look at the painting and “convert” it to my sketching style. What would I learn? I wish I could tell you what the answer is but I don’t really know yet, but I felt something while doing the following sketch. I don’t know what it was but I think repeated treatments may change my sketching style, maybe even improve it. I’m settling into a winter sketching regime which means I’m becoming a regular at Quebec’s Musee de la Civilisation again. I made over 50 museum visits last year and it’s likely I’ll do the same this year. This day, I was with my new buddy, Fernande and we had a good time sketching in the Paris exhibition. We followed up with a celebratory tea in Cafe 47, the museum cafeteria. 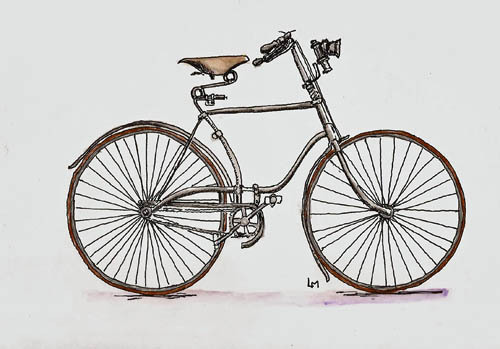 I nearly went cross-eyed trying to do a ‘proper’ drawing of this Delizy Brassart bicycle, which dates to 1889. I was particularly interested in getting the frame organization ‘right’ as it’s very unique, with the crank being bolted on below the actual bicycle frame instead of being an integral part of it. The solid rubber tires and carbide light are also very interesting. Bicycling was a big deal at the turn of the century, with many innovations, the first Tour de France, and women wore bloomers so they could ride, showing off their ankles. Ooo la la! 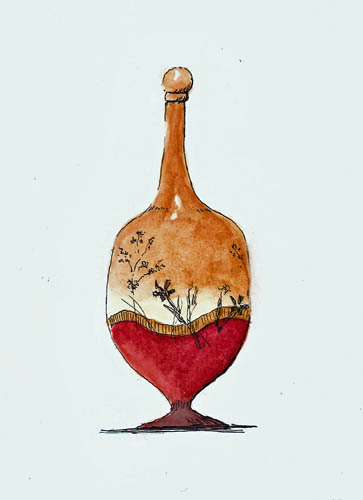 I thought I should draw something a bit easier after that so I chose this vase with stopper. Pretty little thing and, I fear, I didn’t do it justice. I used a Uniball UM-151 brown-black pen to do the brown markings on the vase, which worked better than I thought it would. One thing about museum visits is that they challenge me to draw things I might not otherwise draw. It really helps and there’s nothing better than a museum atmosphere to stimulate the creative neurons. 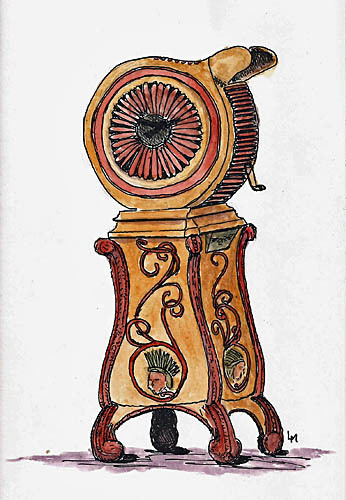 Long before a short film of a train arriving in a station scared the be-geezus out of people who were seeing their first “moving picture” and before George Méliès shot the moon with a large bullet full of people, there was the mutoscope. Early ‘moving pictures’ were created not by a long piece of multi-framed film but rather by a whole bunch of pictures, shown in rapid sequence to the viewer. As kids we’ve all played with ‘flip books’ that did the same thing. A sophisticated version of this approach was the mutoscope, a device that held, by my guess, about a gazillion and one sequenced pictures in a large, round canister. You deposit a coin, look through a viewer, turn the crank, and watch the movie. Of course, to entice people to do just that, these machines were well-decorated, providing a really time-consuming subject for a sketcher like myself. I tried to simplify it but it still took forever to draw all the scrollwork. Lots of fun, though. I did this in a Stillman & Birn Zeta (6×9) sketchbook, with a TWSBI Mini pen filled with Platinum Carbon Black ink. This is a hard time of year for me. Not only do I not like winter, as a street sketcher my daily routine is snatched from my by the cold. My Arizona fingers just won’t hold onto a pen when it’s cold. I know, I’m a sissy, but I’ll point out that the birds leave because they can. But all is not lost. Last year I lived in the museums, sketching Samurai helmets, Nigerian masks, statues, and paintings. This year I have decided that I will spend more time in coffee shops, drawing people, tables, and countertops AND heading to the museums. One of the big exhibits at our Musee de la Civilisation, this year, is Paris on Stage, that reflects Paris as it was at the beginning of the 19th Century, with emphasis on the world expositions that took place there in 1889 and 1900. And this is where I was, with a couple of friends, for a pleasant Saturday morning of sketching. We’ve done it for two weeks, now and I think it will become a regular thing for us as we’re having lots of fun, sketching, followed up by a pleasant cup of tea and the ever-present discussions of art materials. 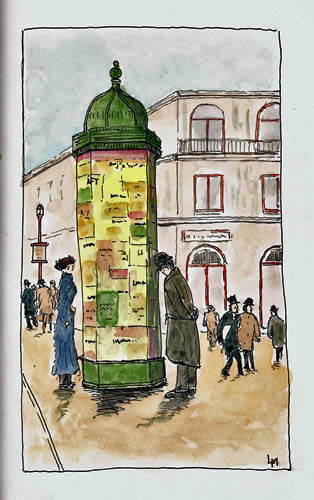 There’s a huge mural called Les Halles by Léon Lhermitte. It hangs at the entrance of the multi-room exhibit. 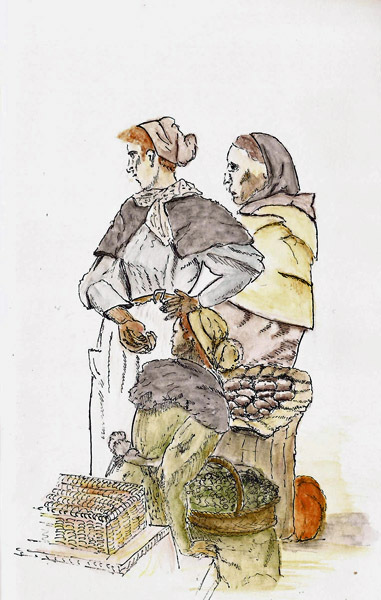 It’s an amazing work that captures the outdoor marketplace in Paris at that time. One could sketch portions of it forever and not become bored. My skills, thought, are too limited to do it justice but here is my attempt at three of the women in the painting. Lots of fun to do and, for me, very difficult. I’ll be sketching more of this mural as I hibernate in the museum this winter as it was lots of fun. I find watercolor pencils and a waterbrush to be a great way of coloring sketches while in the museum. I use Albrect-Durer pencils as I love the way the lines completely dissolve, unlike other pencils I’ve tried. I do use watercolors in the museum sometimes, though. This museum is very accommodating to sketcher-persons (grin). This week I had decided I would fill two pages with ‘cabaret’ sketches. There is a significant portion of the exhibit devoted to the ‘hot’ cabaret scene in 19th Century Paris, with posters, paintings, signs and photographs of the places (eg – Moulin Rouge, Chat Noir) as well as early videos of dancers, patrons, and even the prostitutes who were part of that scene. 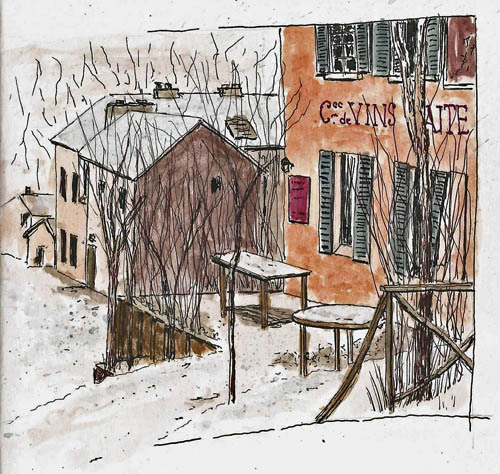 I began with this sketch of a painting featuring Le Lapin Agile, a cabaret owned by a prostitute who rose in the ranks of the community. I loved the winter scene particularly the many trees, devoid of leaves as they hunkered down, much like I’m doing right now, against the cold. This sketch is about 6×6. My eye caught a large brass sign hanging high above me. It was the original sign that hung to announce Le Chat Noir, possibly second only to the Moulin Rouge for notoriety in Paris. I quickly sketched it and then followed it up with a loose rendition of a portion of a Moulin Rouge poster that was, itself a pencil sketch of the place. Then it was time for tea so we packed up and headed to Cafe 47, the museum coffee shop. It was a great day. How Long Does It Take To Do A Sketch? One thing that many of us who sketch on location talk about is how much easier it is to fit sketching into a busy schedule. We contrast it to creating fine art and the need for large blocks of time. We emphasize the point by quoting the many laments from fine artists about not having time to do their art. There is truth to our claim but, on some level we exaggerate, as when many of us sketch a complex scene, or simply a sketch with lots of detail, we can burn away a couple hours without problem, and many a fine art piece is created in the same amount of time. But, nevertheless, what we say is true. I sketch almost every day, often more than once a day. Unless you’re making your living as a fine artist, few could make that claim. 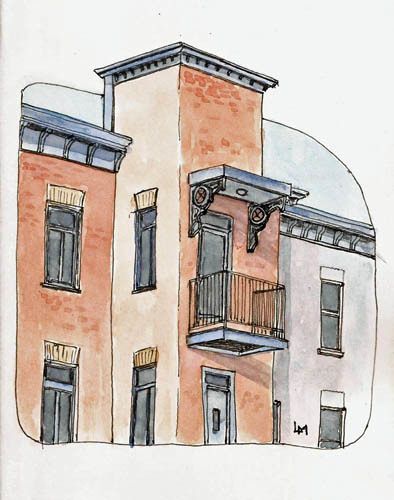 As I look at what I do and how I do it, I see that there is a ‘trick’ to fitting sketching into a busy schedule, whether it be by wandering the city as a street sketcher or sitting at home doing sketching at the kitchen table. For lack of a term for this trick, I’ll call it time-result flexibility. I learned this concept from Yvan Breton, the guy who has taught me more than anyone else about drawing. What amazes me about Yvan is his ability to do 30-second sketches, 2-minute sketches, 20-minute sketches, 2-hour sketches, and pieces of fine art requiring multiple sessions and many hours. I guess, to be more precise, it isn’t being able to draw something over differing periods of time as any drawing book will talk about doing gesture sketches, contour sketches, and various forms of more detailed art. What is impressive about Yvan is that he does this seamlessly, magically fitting a true, realistic sketch into each of these time frames. 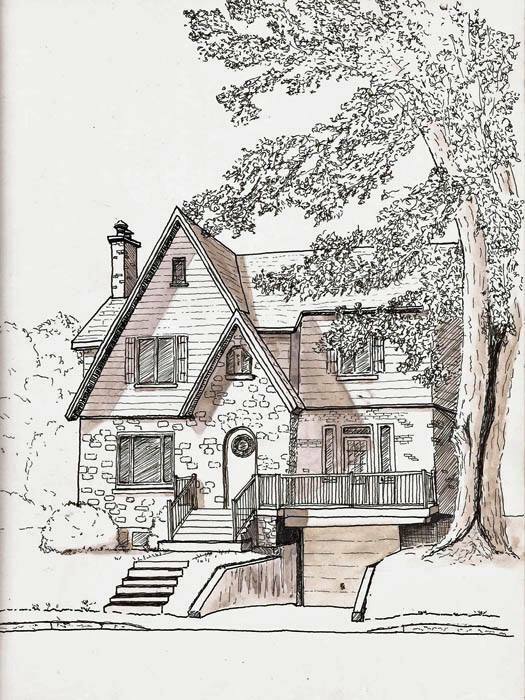 He has developed the ability to assess his available time and approach and develop his sketch such that, as the wizard Gandalf said in Lord of the Rings, “arrives exactly when he means to” and his sketches are complete. Short time periods, of course, have less detail. Maybe one could argue that they are less precise, but it’s really hard to tell and, to me, that is downright magical. And while some sketchers fit sketching into their busy schedules by always sketching quickly, I encourage those interested in fine art to consider this alternative approach – adjusting the result of your sketch to the time available for it. This does require adjusting your expectations to time frame but it goes deeper than that. It means being able to identify and prioritize the various aspects of what you’re drawing and organizing your approach to capture the high priority things, in a quick sketch, adding a few more if you have a longer time and only capturing everything when you have an unlimited amount of time. I know..I know…this is simply restating “just simplify” but that’s not what I’m talking about. We can talk about ‘keep it loose’ til the cows come home but loose is a different debate entirely. Yvan can do this time-result trick with portraits and each of them will look LIKE the person he’s drawing. I wish I could better describe his thoughts and actions as if I could understand and do it well myself, I might better use words to explain it. I cannot, but it is something that we can all think about and with practice implement in your own work. The first step is to think about the time-result equation as you sketch. The next step, I’m convinced, is to start drawing in radically different time frames. I was resistant to this idea, mostly because I couldn’t do it. The thought of drawing anything in 30 seconds was beyond my abilities. Heck, the thought of drawing anything in 20 minutes was beyond my abilities until I’d drawn a few hundred things that took 1-2 hours. But you’re all more experienced than I am, right? So give it a try. Here are my attempts at this sort of thing, all done within the last week or so. The first is a very quick sketch of a friend. 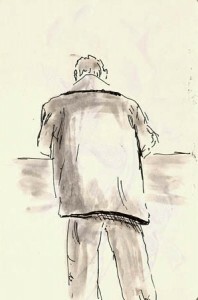 I spent about 30-seconds capturing his shape, and little more, as he was talking to someone. Is it great art? Nope, but I can look at it and remember that day. I also got some practice capturing a shape quickly. I got to do art while I waited for him. I had fun. I’m just guessing but if I do another 120 of these I bet my ability to do it will improve. What do you think? And how long will that take to do 120 sketches like this? In real sketching time, ONE HOUR, and it will be one hour spent drawing instead of just standing around. Everyone has ‘dead time’ in their life. I was out to lunch with a friend and afterwards he had to stop at a store, run in, and pick something up. I sat in the car for 3-4 minutes. 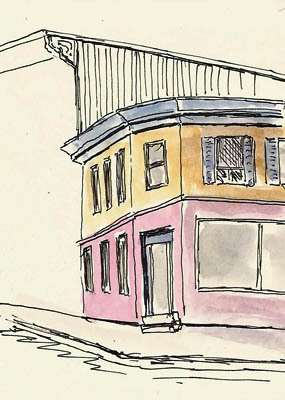 As I sat I realized there was a building before me so I got out my small sketchbook and started drawing. I spent 2-3 minutes on this sketch before my buddy returned and I quickly slapped on some color before scanning it. I could have just sat and watched cars drive by but what fun would that be? Doing 100 of these sketches would require seven hours of waiting for people, sitting in a doctor’s office, waiting for lunch to be served. Sadly, we all spend lots of time doing nothing. And again, the result is fun and I get more experience “seeing” things and recording them. If you did one of them a day, you’d have 365 sketches like this at the end of the year. I was in a mall, again… waiting. I looked up and noticed the large light fixtures that light the mall corridors. I’d been in the mall a gazillion times but never noticed them before. Again, I got out my sketchbook and spent 10-12 minutes drawing one of those lights. I found it something of a challenge as I always have trouble with angles when I have to look up a lot. In the end, though, the waiting became fun and productive. Which one do you like best? Yeah…me too, but those quicker, more spartan sketches allow me to build the ability to do the sketch above in about half an hour. I can’t tell you how long this sketch took me except to say that I need a significant block of time to do a sketch like this. If I only did sketches like this I would have a lot less fun, a lot less often, and I’d have a lot less experience in laying line to paper than I currently have. The time-result ‘trick’ is working for me. My results are not up to what Yvan can produce in a few minutes but if I’m convinced that working in different time frames, fitting in as much drawing as I possibly can into my life, I will improve. Maybe it can help you as well. Winter is descending upon us quickly. It actually snowed yesterday, though it’s still not cold enough to stick around. That will happen soon enough. There’s still the occasional day when I can brave the temperatures and sketch outdoors, as long as I don’t do it for very long. So I’m in the middle of summer-to-winter sketching transition. I’m warming up my watercolor pencils for visits to museums but, for the moment, the watercolors are close at hand for when its possible to use them. I’m getting out my heavy coats, hats and gloves, for the walks to those museums and I’ve buffed up my winter boots. It’s all sort of depressing when I think about it. I try hard not to but the short day lengths are a constant reminder of what the next five months will bring. We’re down to ten-hours of daylight and by the time we get to mid-December, we’ll be in the dark for all but eight hours of every day. I guess it could be worse; I could live in Finland. Those guys have really short days. And that reminds me, I had to get new batteries for my museum light. A light is a requirement for sketching in our museums as while the subjects are lit, the rooms have subdued lighting. I use a Mighty Bright book light that clips to my sketchbook and it works great. The light and the rest of my materials showed up at the Musee de la Civilisation last Saturday. I was with them. I was there to meet three other sketchers and to sketch in the warmth and comfort of a great museum. When I arrived they were checking in. 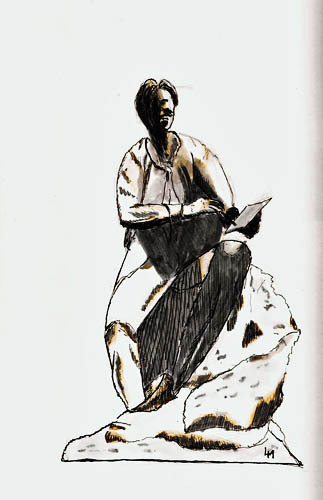 Gilles wasn’t yet a member of the museum (a real bargain for a sketcher in a cold place – I went there over 50 times last winter) and he was filling out the form to become one. I sat down and quickly sketched him. We all chuckled over the result and headed to the exhibits. 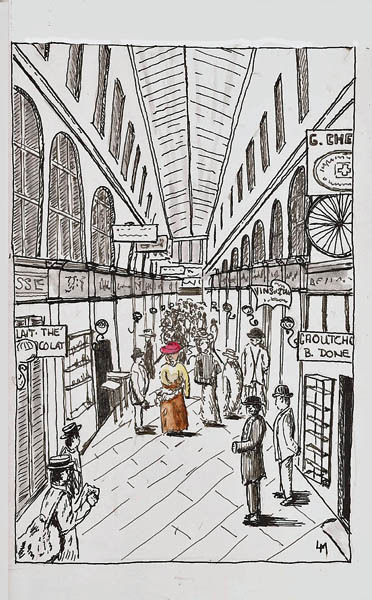 The new big exhibit is Paris, 1889-1914. At that time, Paris was a hotbed of technical achievement in addition to its famous art and cabaret communities. Paris hosted the worlds fair in 1889 and in 1900, a time when things like telegraph and electricity generation and uses were still novelties. This exhibit reflects this, with a mixture of art (eg – Rodin sculptures and a lot of paintings of Paris), lots of material from stage, screen and cinema, early bicycles, steam-powered cars, and a lot of different electrical gizmos and gadgets. In short, there’s lots of stuff to sketch. I’d met two of the sketchers at our recent sketchcrawl and as this was the first time to be sketching in a smaller group with them, we (well, I mean I) spent a lot more time talking than I did sketching. We had a lot of fun talking about materials, what winter sketching in Quebec is like, and just a bunch of general chit-chat. My plan was to sketch three things on two pages and knit them together into a ‘journal’ page as this is an area I want to experiment with more. Sadly, I only managed to get two sketches finished so the page isn’t quite what I had planned, but here it is in any case. Hope you like it. I hope the four of us can get back to the museum real soon. 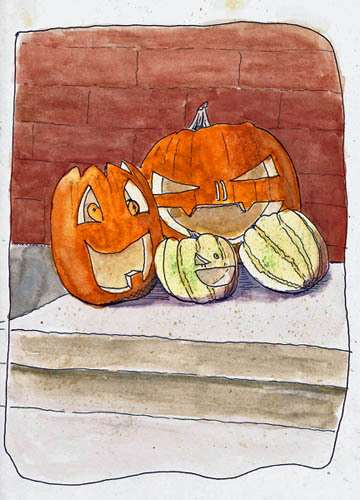 I’m not a big holiday celebration kind of guy but when I was out walking I saw this small cluster of pumpkins, put on a doorstep in honor of Halloween. So, here’s my attempt at being in the Halloween spirit. This sketch was fun to do in a Stillman & Birn Zeta (6×9) with a Pilot Prera and Platinum Carbon Black.